To realise your projects we have a very big range of standard enclosures and a lot of different processing possibilities in our house at our disposal. 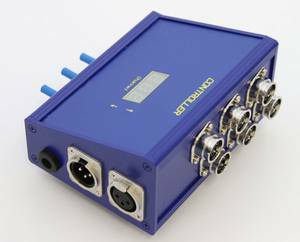 Our manifold selection includes plastic, aluminium and steel sheet enclosures in different sizes, shapes and IP protection classes. We advice you according to your specification. The result of this is often a price advantage due to a big range of enclosures whose basic conception is already similar to the desired objet. In addition to that our customers appreciate the thereby possible variety of designs and optical distinction from widely spread enclosure types. In case of modifications in large quantites or such that can't or can only hardly be manufactured mechanically, interchangeable tools offer a cost-effective solution. We are also open to an implementation and processing of external brands specified by the customer. Of course you can also use our processing service for provided enclosures or such that have to be newly developed. Use our enclosure finder to find your suitable enclosure. Especially in case of individually and according to free templates constructed enclosures we rely on our strengths that beginning from simple steps such as cutting profiles and sheet metal lead up to complexe assemblies with technically functional and optically perfect surfaces. The engineering for the multi functional profiles or the tools for our plastic injection moulded enclosures are in our house. For the application of the enclosures we also deliver a lot of useful accessories such as handles, locks, top-hat rails, wall holders, support arm systems, displays and pressure compensation elements.